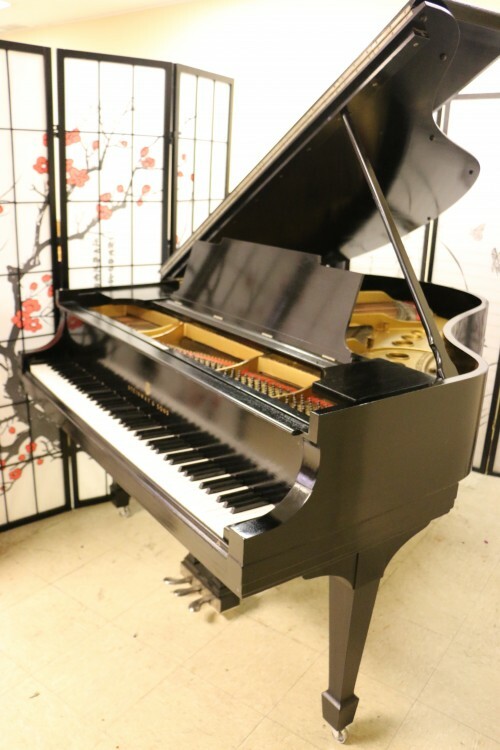 #766: Used Steinway M Ebony 1936 Restored/Refinished 5/2015 $13,500. 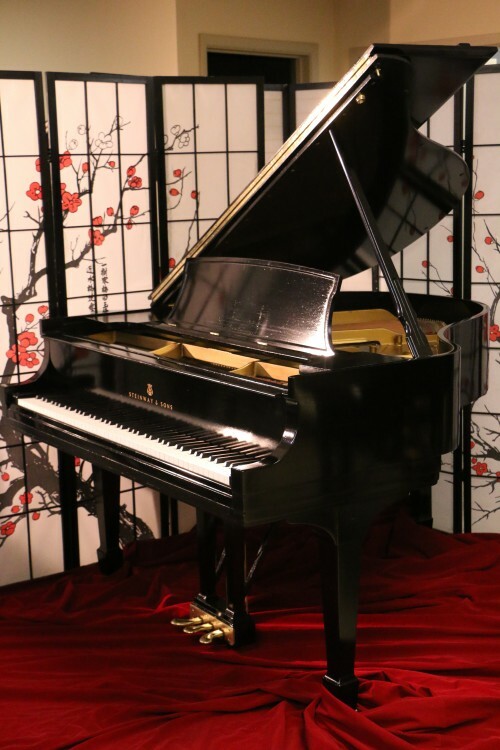 Classic Steinway M 5’7″ made during the “Golden Age” of Steinway manufacturing in the USA. All genuine Steinway parts. We just gave it a new natural wood grain semi-gloss ebony finish, put on new keytops, put on newer Steinway hammers, shanks, flanges, regulated the action voiced the hammers. Cleaned and polished the pedals and hinges. soundboard and pinblock and bridges and action all excellent condition. Has rich, sublime Steinway M tone and responsive action. 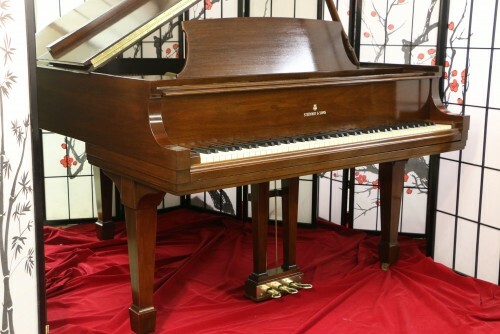 #768: King Louis XV Style Steinway Grand Piano Model O 5’10.5″ Ebony Gloss Refin/Reblt $27,500. 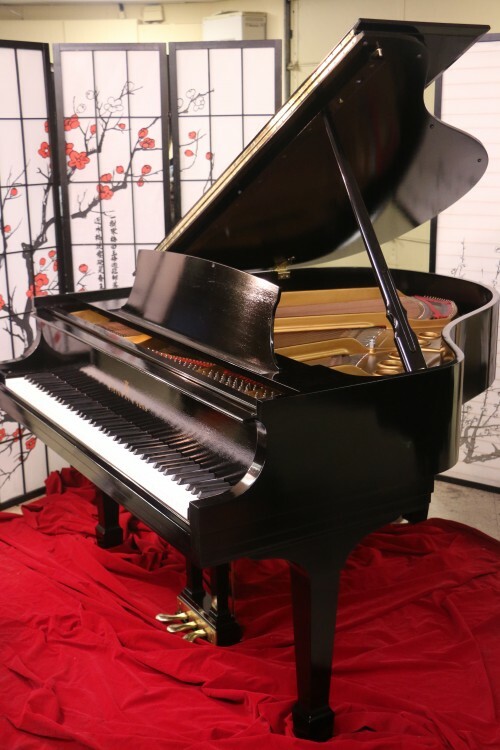 Beautiful Steinway M, just received a new natural grain semi-gloss ebony finish. All excellent condition original Steinway parts including beautiful ivory keys, made in 1911. Has classic rich, warm, sublime Steinway M tone. Action very responsive. Piano will last indefinitely. Our Technicians just regulated the action and voiced the hammers. Warranty. Nationwide Shipping only $475. Worldwide shipping call for price quote. Questions? Call or e-mail Sonny at 631 475-8046.